Prior to joining the Board in 2017, Charl worked with Greening Australia for many years in various voluntary capacities, including serving on the Board of Greening Australia NSW. With a background in economics, he started his career as a management consultant before moving into investment management roles with the Australian Industry Development Corporation, Lend Lease Corporation and MLC Limited in the private equity, infrastructure and alternative asset sectors. Charl was responsible for establishing and managing MLC’s significant international private equity programme and also managed its infrastructure investments in Asia. 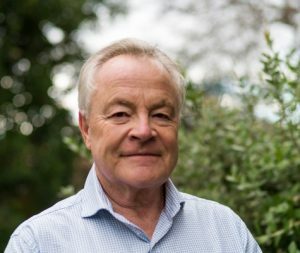 He currently serves as a non-executive Director and Member on the Board and Investment Committees of New Forests, an international investment management firm focused on sustainable forestry and associated environmental markets (carbon and mitigation banking) in Australia, New Zealand, S.E. Asia and the USA.